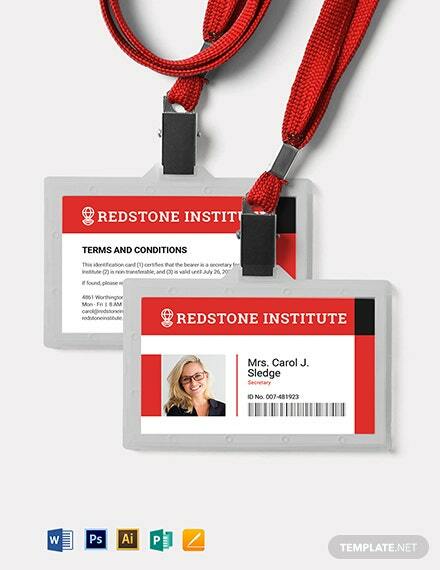 Create identification cards that stand out for your school, company, or organization and download from our wide range of ID card templates for free. 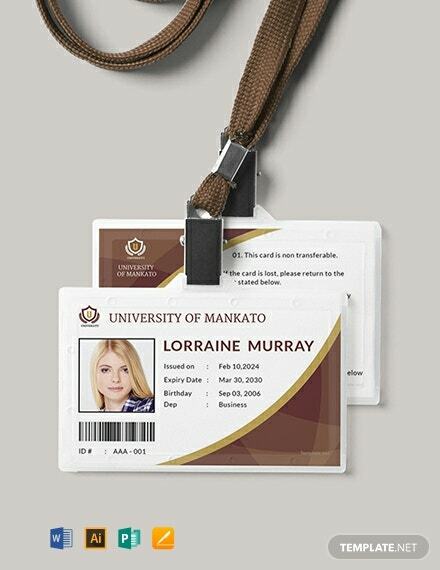 Give your employees, students, or members the proper ID cards for each of their respective organizations. These files are ready-made with professionally designed content. They can be creative, simple, and contemporary in design. 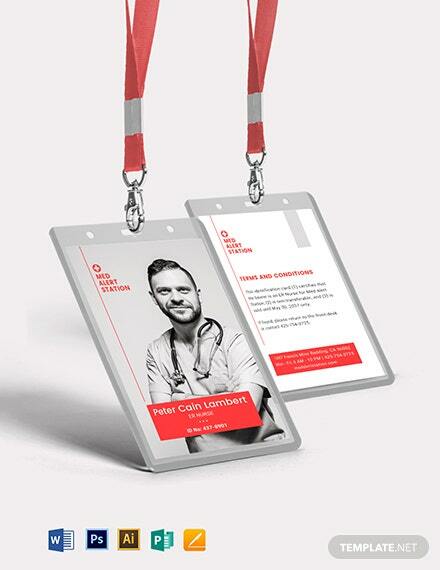 The templates make use of high-quality layout, artwork, images, text and graphic files. 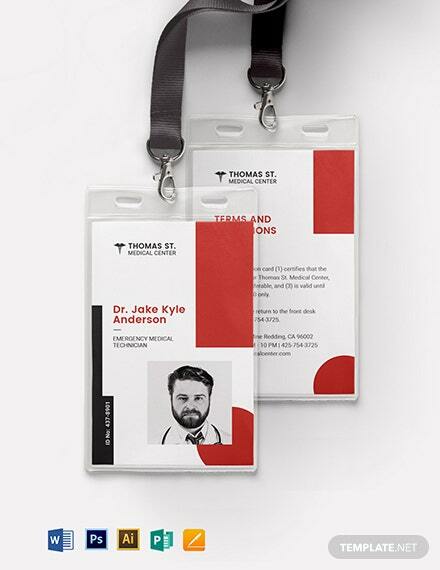 Printable with CMYK color space and 300 DPI resolution. Easily Editable in all versions of Adobe Photoshop (psd), Illustrator (.ai), Indesign, Microsoft Word (.doc), Publisher, and Apple Pages on Mac. Save the downloaded file on your PC or mobile device. 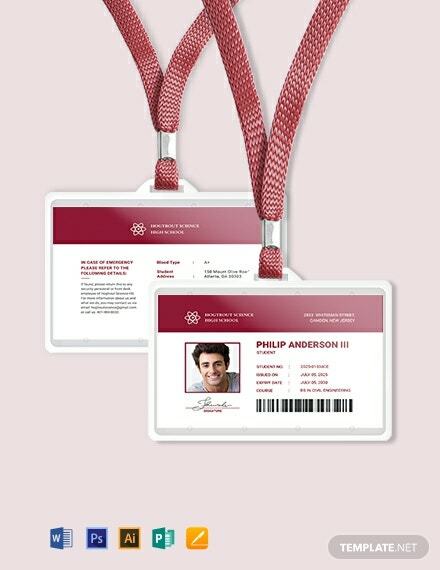 ID cards are used in almost all employees or student organizations and school or business institutions. 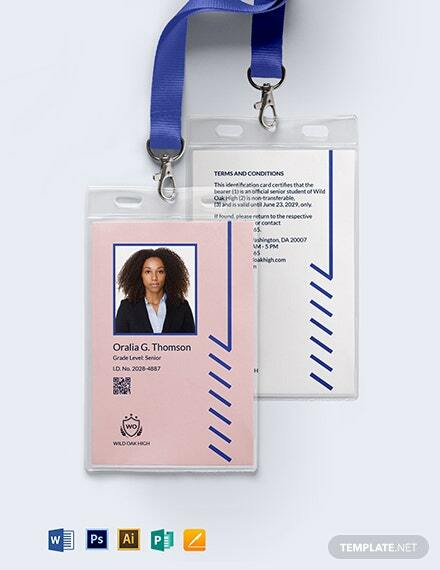 ID cards, in a way, promote order and a sense of security from the simple ID badge down to the high tech biometrics and others. 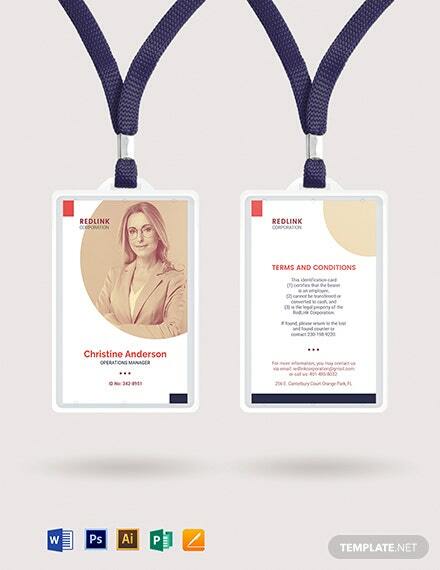 ID cards indeed are not only requirements but a necessity for any organization or institution. 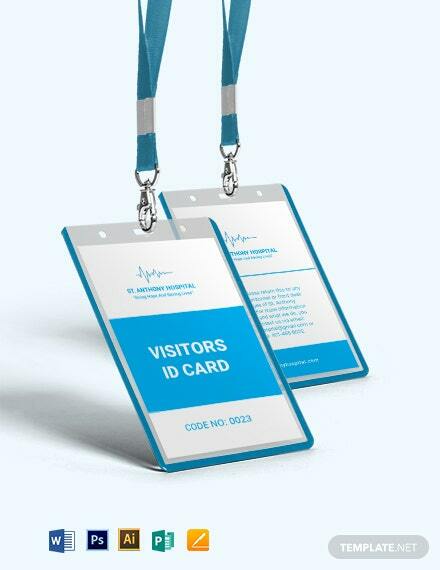 As the name itself implies, ID cards verify our identification and prove that we are really who we say we are. 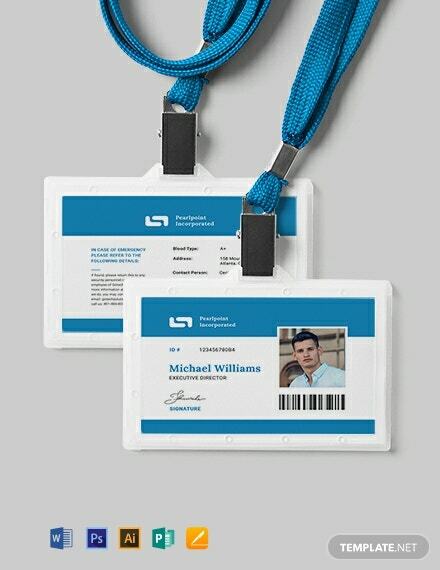 For easily downloadable and editable ID card templates, go to Template.net and get access to custom design ID card templates for vertical, horizontal, blank, formal, office or any brand of ID cards. 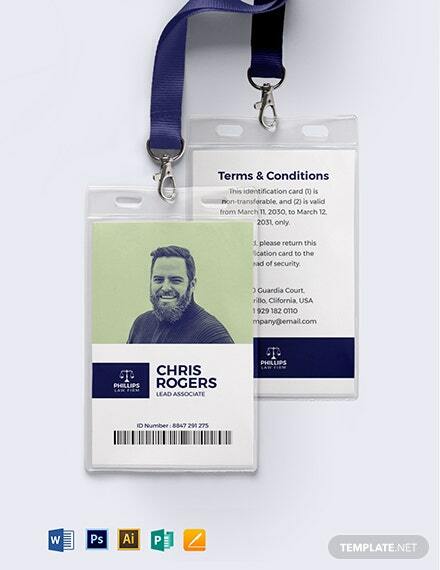 Often times, ID cards are needed for verification of a payment for any transaction. Credit card use, for instance, requires additional ID cards to match the owner of the credit card and the one doing the transaction. 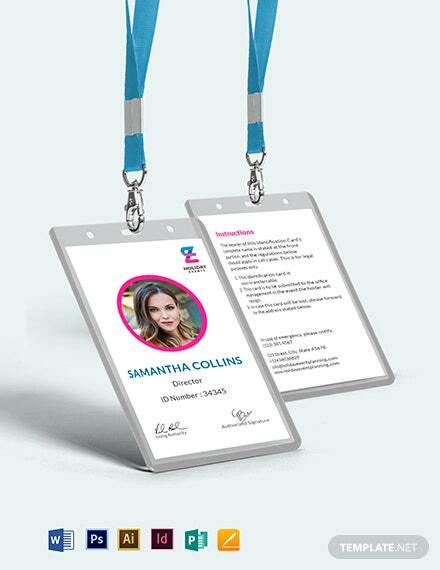 Make ID cards for any format and layout using ID card templates from the site. 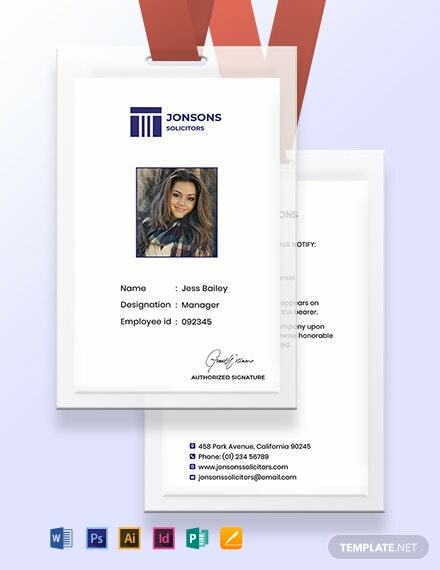 Easily print them on paper or plastic. 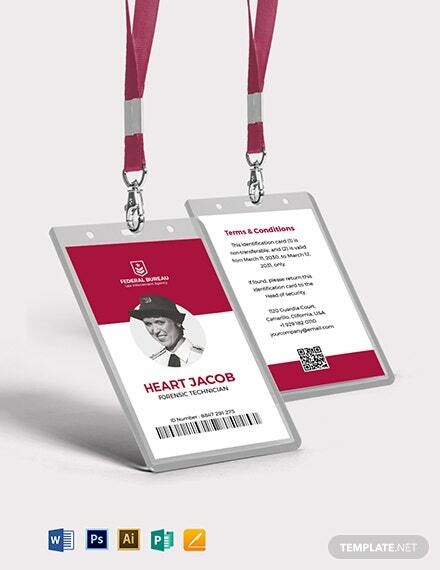 ID cards also provide access and result in increased security for any premises or locations. 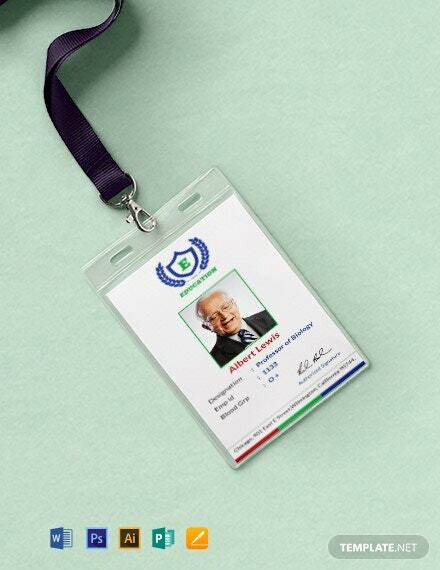 Granting and limiting of access is done through the use of magnetic ID card badges. 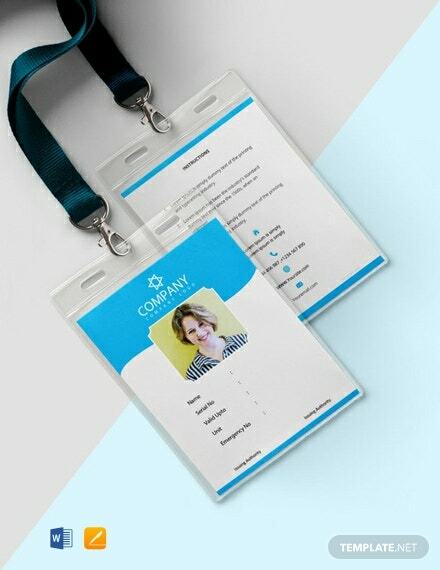 Create ID cards fast and easy using ID card templates from Template.net. 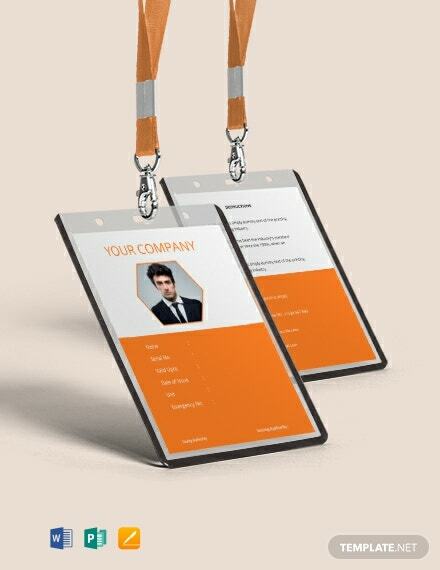 Open the template on your favorite software app and simply fill in your information. 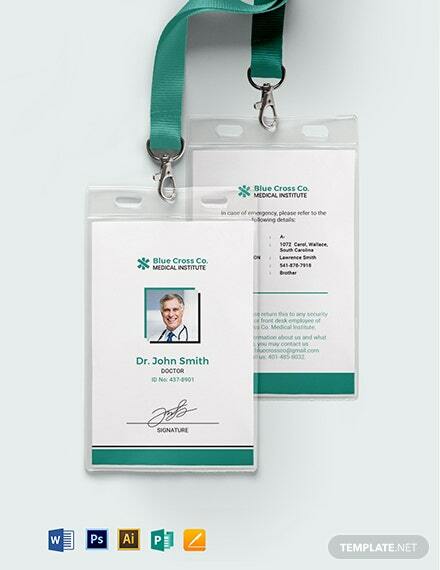 Be done in minutes and easily print at home or send out for commercial printing. 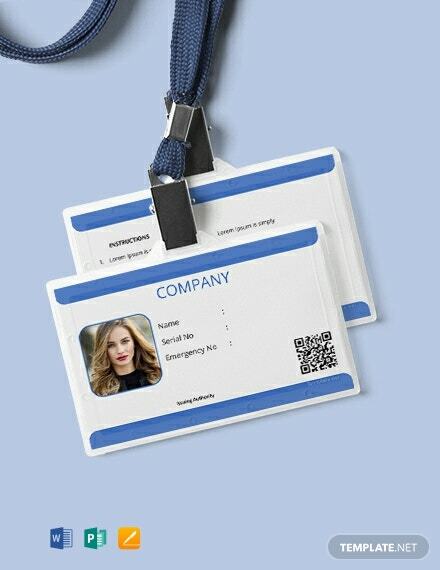 ID cards make tracking and monitoring of employees faster and easier. 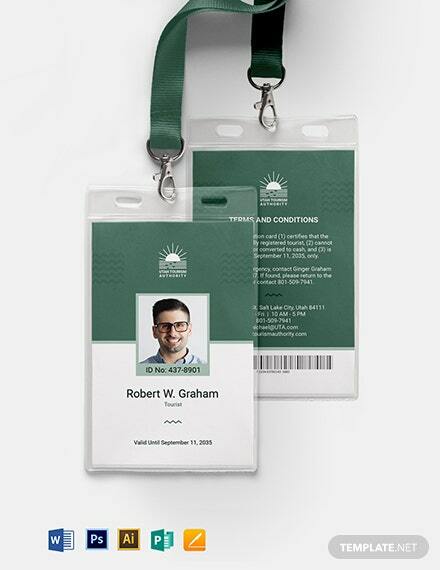 With each ID card containing a different passcode, easily track down usage for equipment or facilities. 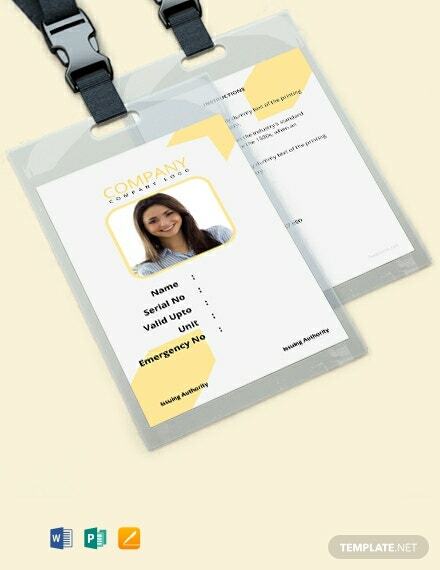 Be on top of your employee activities using ID card templates from Template.net. 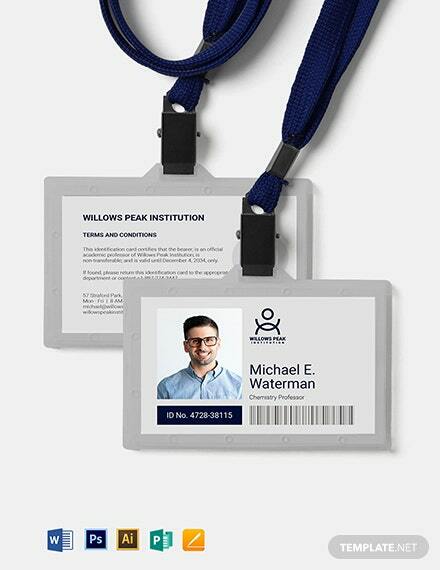 Better working relationships are also achieved through ID cards. 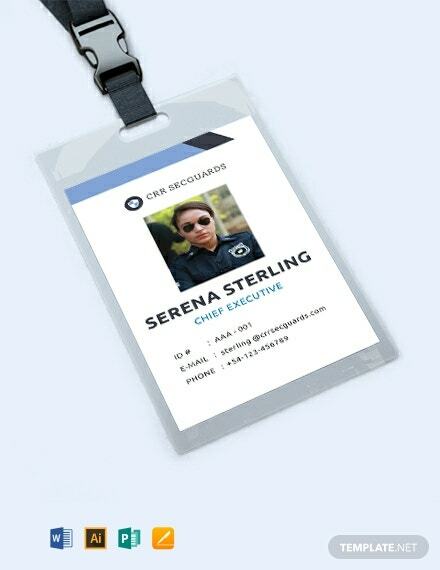 By having a name displayed on the card, colleagues will easily get to know their fellow employees. Customers are also given a face to the name when dealing with transactions. 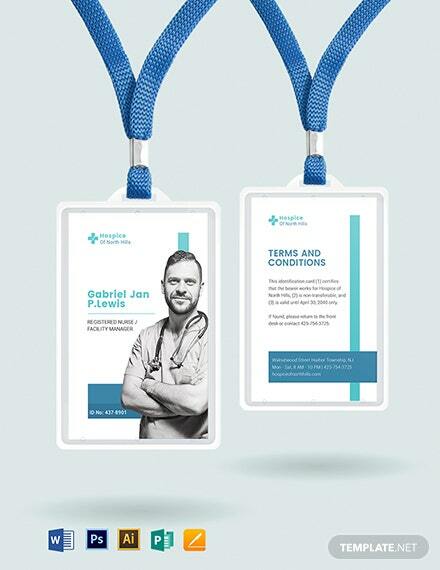 With so many ID card templates available for instant download at the site, you can never go wrong by selecting the appropriate card of your liking. 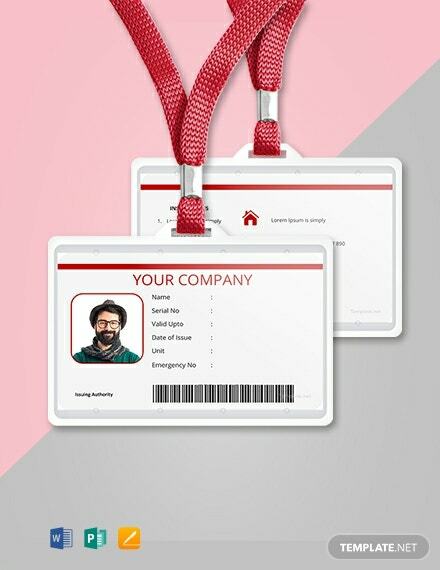 Participating organizations also provide benefits to ID card holders of partner companies. 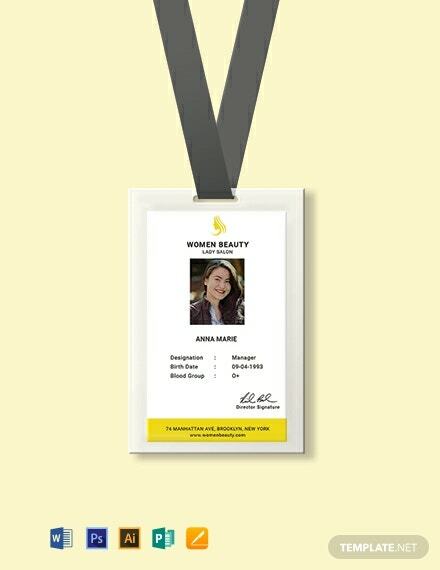 Be it a free workout in a gym or discounts from a store, ID cards are useful when entering or doing business with partner establishments. 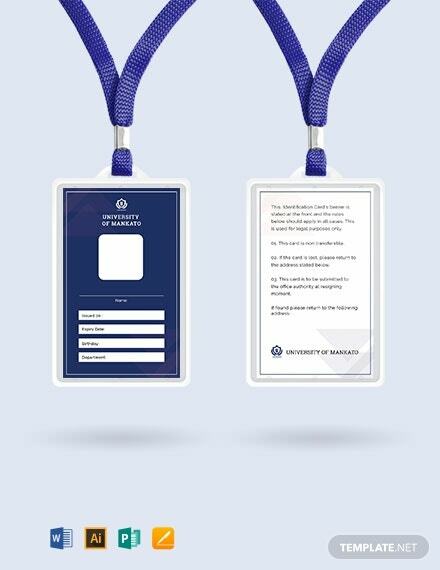 Enjoy benefits using amazingly beautiful and effective ID card templates from Template.net. 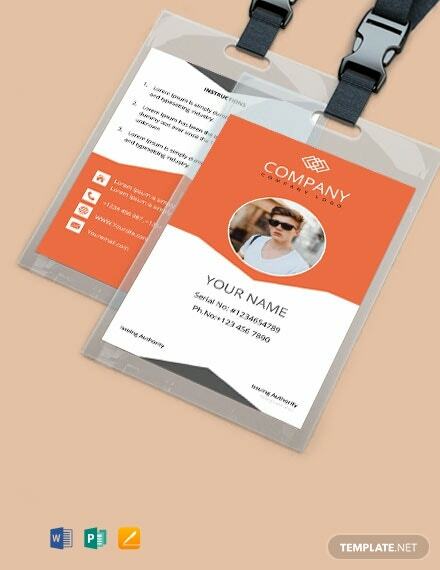 Choose from the wide array of templates available and start enjoying your benefits. 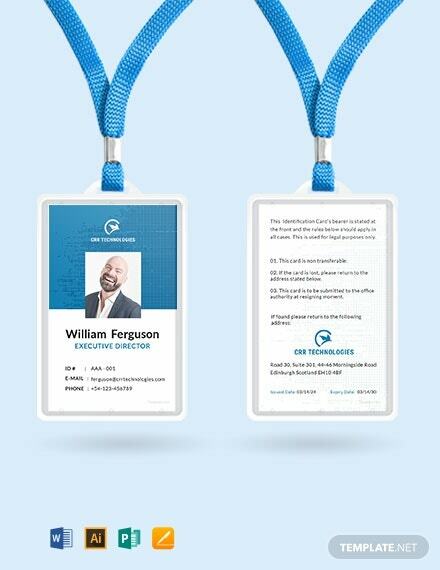 Template.net offers only the best and quality ID card templates in the planet. Open and edit the chosen templates with your favorite application supporting your chosen file format. 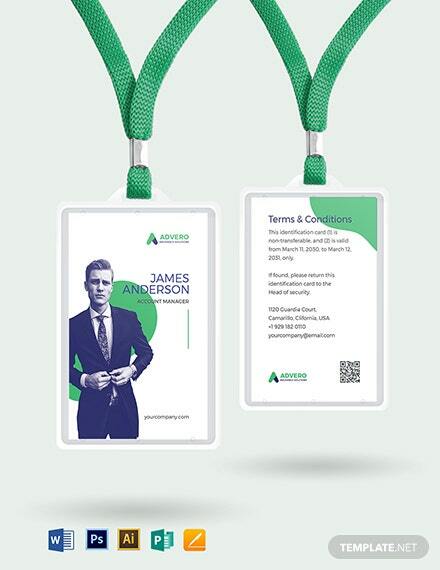 Print easily at the comfort of your home or send out for commercial printing. 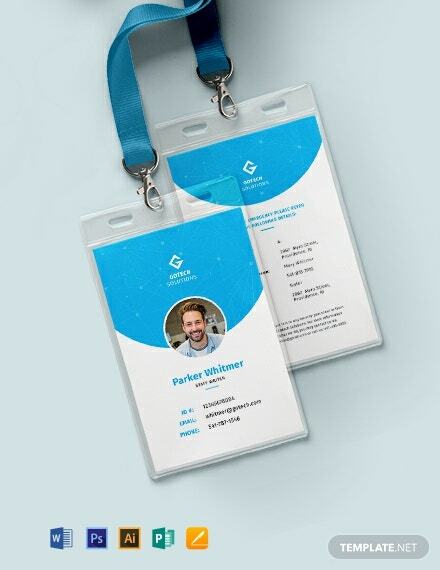 Make the wise choice and head on over to Template.net for the best selection of premium design ID card templates the web has to offer.